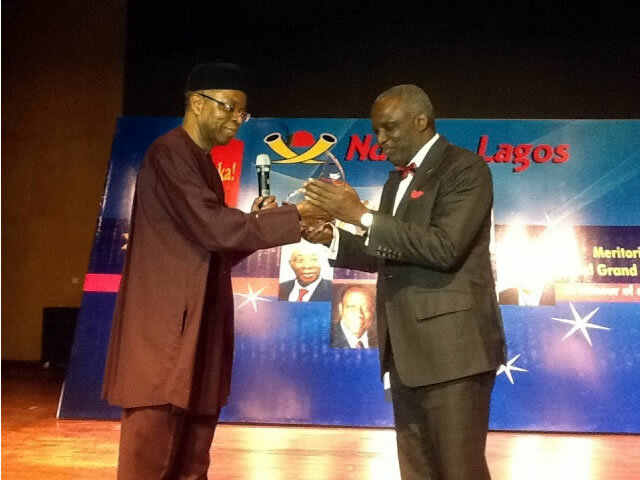 Professor Bart Okechukwu Nnaji, CON, Former Minister of Power, Federal Republic of Nigeria recently received a meritorious award of ‘Distinction’ at a reception organised by Ndigbo Lagos in honour of eminent personalities who had distinguished selves in contributions towards the socio-economic development of the South-East geo-political zone of Nigeria. 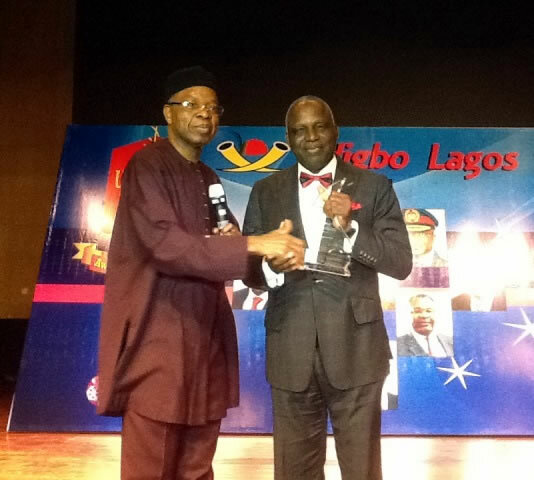 Professor Nnaji, Chairman/Chief Executive Officer of Geometric Power Limited, an indigenous private power development company, got the award in recognition of his tremendous impact in the power field and ministerial contributions in transforming Nigeria. Ndigbo Lagos being an umbrella socio-cultural organisation that articulates, coordinates, promotes and protects the interests and well-being of the Igbos in Lagos state and beyond organised the event to give honours to deserving sons and daughter of Igbo land who recently left office after distinguishing themselves in the service of fatherland, Nigeria. President of Ndigbo Lagos, Professor Anya O. Anya described Prof. Nnaji, who also was Minister of Science and Technology as the pride of Ndigbo who was ‘’not only a trail blazer in appreciating the lead role of the private sector in power development in Nigeria’’. Eight other illustrious persons of Ndigbo were honoured by the apex Igbo organisation to include Princess Stella Oduah – Former Minster of Aviation, Mr. Peter obi – former Governor of Anambra State, General Azubuike Ihejirika – Immediate Past Chief of Army Staff, Admiral Dele Ezeoba – Former Chief of Naval Staff and Mr Reginald Chika Stanley – Former Executive Secretary of Petroleum Products Pricing Agency (PPPRA). Others were Mr. Reginald Ihejiahi – Former Managing Director/ CEO of Fidelity Bank Plc, Mr Chima Ibeneche – Former Managing Director of Nigeria Liquefied Natural Gas (NLNG) and Mr Ken Igbokwe – Former Managing Partner of Price Waterhouse.